Crystal Palace defender Pape Souare has made his first appearance since breaking his thighbone and jaw in a horrific car crash almost a year ago. The 27-year-old had to be airlifted to hospital after crashing on the M4 in September 2016, and only returned to full training earlier this month. 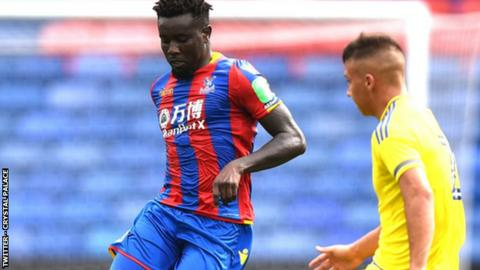 Senegal international Souare played 45 minutes for Palace Under-23s as they were beaten 2-1 by Nottingham Forest. After the match Souare tweeted: "Glad to get some minutes under my belt. Feeling good."